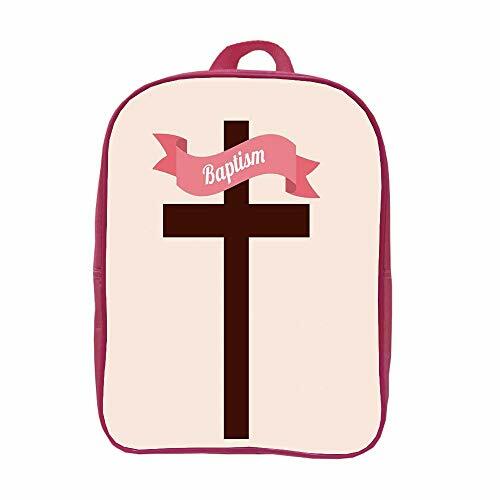 iPrint Children's knapsack Customizable,Baptism,Baptism Message on Ribbon Cross at The Back Christening Church Event Design,Cream Chesnut Brown,Picture Print Design. by iPrint at Our Lady of Sorrows Church. MPN: QZXUANMENG-ERTSB_24x8x32cm-02477. Hurry! Limited time offer. Offer valid only while supplies last. ********** Design ********** High end zipper enables you to pull smoothly and smoothly. The four tough webbing handle lets you put your hand freely.